Photographed on the Tuesday 26 July 2016. This a solitary bee (Colletes daviesanus) and belongs to the Class Insecta, Order Hymenoptera, Suborder Apocrita, Family Colletidae and Genus Colletes and perhaps the smallest species of Colletes in the UK. Bees as discussed belong to the Order Hymenoptera, of which there are about 150 000 species mostly dominated by wasps. 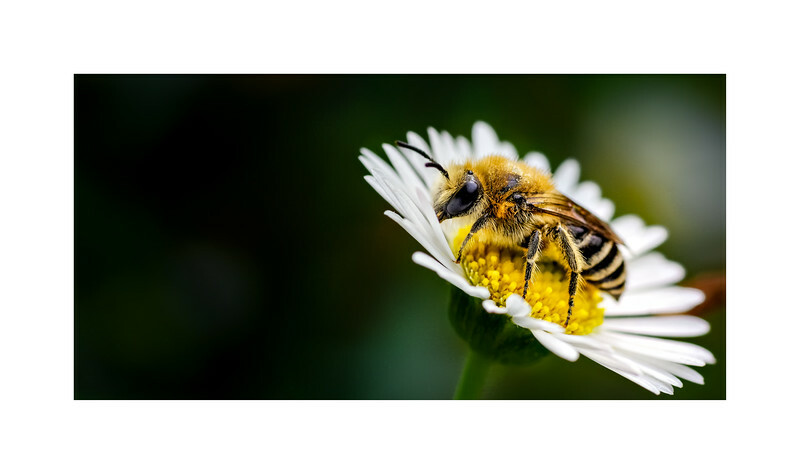 Bees initially fall within the suborder Apocrita, which is subdivided again and bees fall into the division of Apocrita called Aculeata and part of the superfamily Apoidea where the form a monophyletic lineage belonging to the clade Anthophila. Some bees are social but most are solitary. About 20 000 species of bee have been described to date 9though probably a small estimate of the total number in existence). We have about 270 species of bee in Britain and Ireland of which bumblebees only occupy a small proportion.